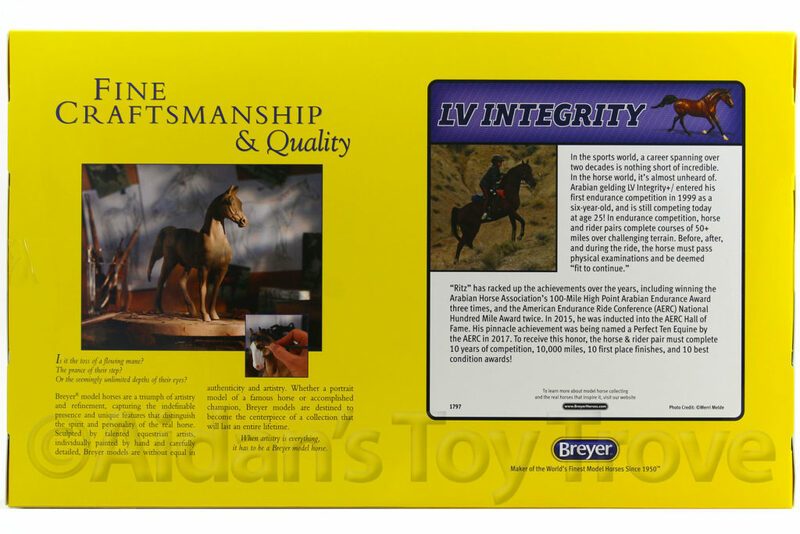 For Sale is a Traditional Scale New In Box (NIB) Breyer LV Integrity 1797. 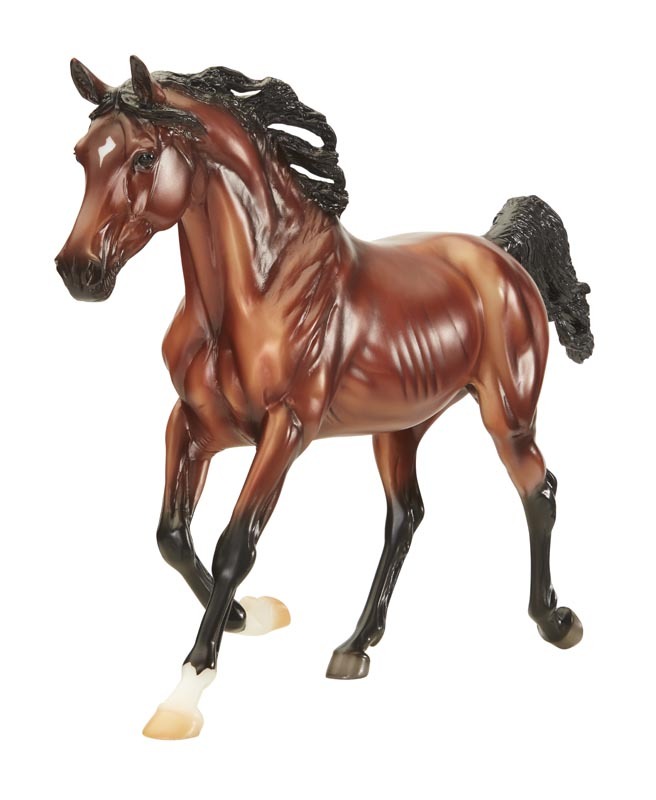 He is the Shagya Arabian Mold and is painted a bright glowing red bay. Here is what Breyer has to say about LV Integrity. “Ritz” has racked up the achievements over the years, including winning the Arabian Horse Association’s 100-Mile High Point Arabian Endurance Award three times, and the American Endurance Ride Conference (AERC) National Hundred Mile Award twice. In 2015, he was inducted into the AERC Hall of Fame. His pinnacle achievement was being named a Perfect Ten Equine by the AERC in 2017. To receive this honor, the horse & rider pair must complete 10 years of competition, 10,000 miles, 10 first place finishes, and 10 best condition awards! 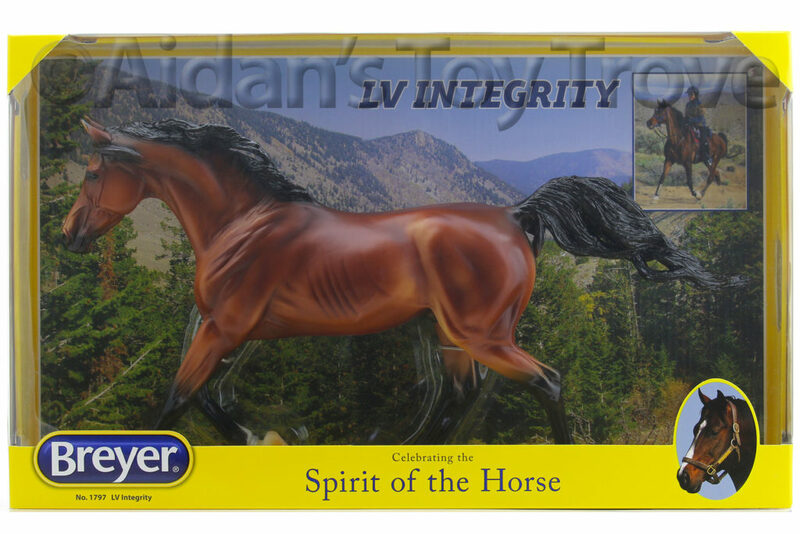 The Breyer LV Integrity 1797 is still sealed and tied in the original box. The box may have normal wear. I noted no flaws on the horse. There may be typical factory flaws. I cannot guarantee the condition of the boxed side. Please note that I have multiples of this model. 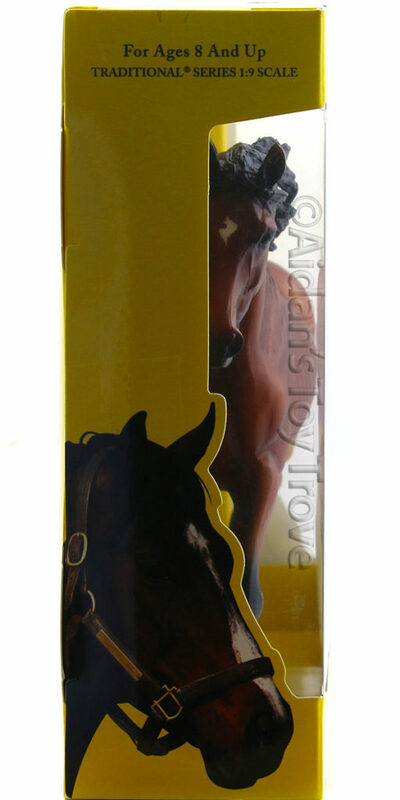 You may not receive the exact horse pictured. 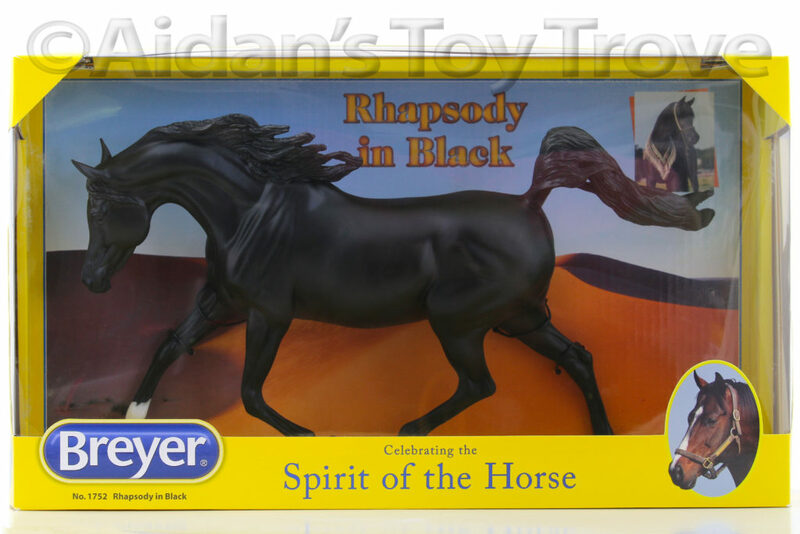 You will receive a brand new in box (NIB) Breyer LV Integrity 1797.